“Missions to Mars.” In recent years, this lofty goal has never seemed more attainable as highly-ambitious private companies and government agencies have outlined their plans to land boots on the Red Planet. However, to the casual observer, these expectations may have seemed to hit a snag in mid-July of 2017. First, NASA admitted that they won’t be able to meet the “Mars by 2030” timeline they had set. This is due in large part to the staggering cost of developing the agency’s Space Launch System, or SLS—the mammoth rocket that would launch crewed spacecraft to Mars and beyond. Shortly thereafter, SpaceX frontman Elon Musk announced that the private rocket company would be scrapping plans for their Martian spacecraft, Red Dragon. But all is not lost. 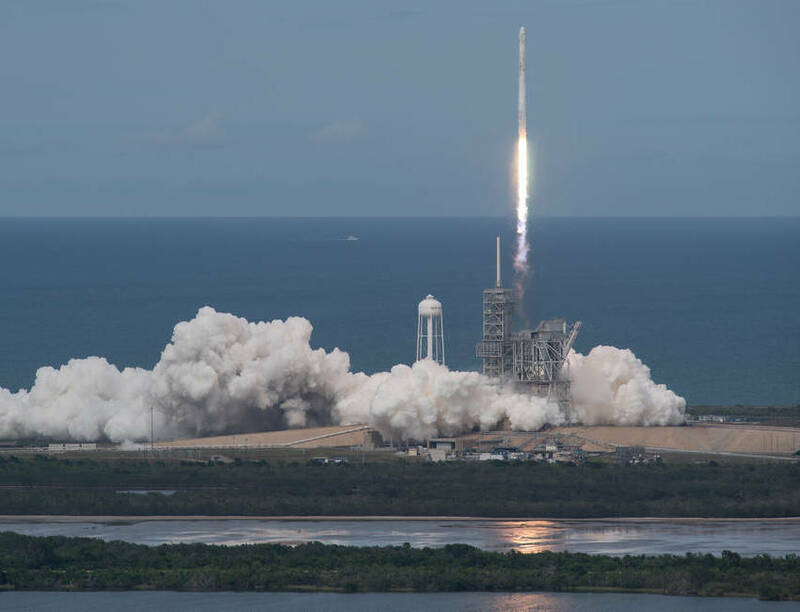 Far from it, in fact: Rather than be seen as a major setback, NASA’s admission and SpaceX’s announcement should instead be viewed as a necessary step; a natural realigning as NASA grapples with budget realities and SpaceX’s vision of Martian missions comes into clearer focus. July may, in fact, have represented a turning point for the broader Mars-bound space industry, as vague promises of a human presence on Mars pivot from platitudes to pragmatism. 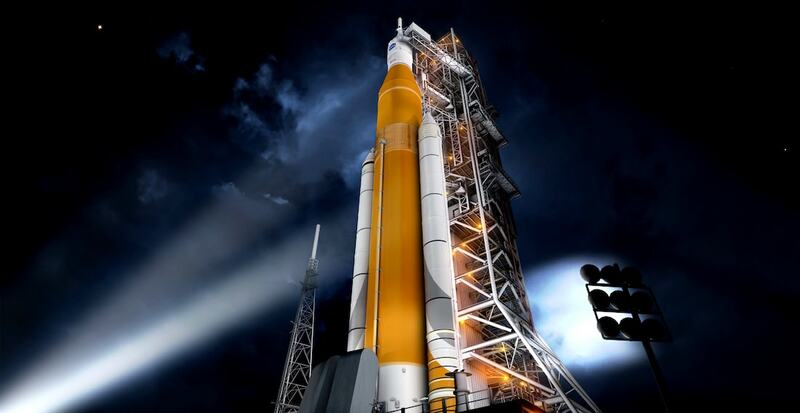 The Space Launch System: or, the world’s most formidable rocket-powered money pit. There’s no ignoring the fact that NASA’s flagship Space Launch System is a viscerally exciting machine. For one thing, it’s enormous: Once assembled and topped with the Exploration Upper Stage (EUS) and Orion capsule, the SLS will stand a whopping 364 feet fall. It’s also undeniably powerful: The system’s core stage rocket assemblage contains four RS-25 engines—for comparison, a single RS-25 was required to launch the Space Shuttle to orbit. These four engines are partnered with a pair of solid-state rocket boosters, and all combined equip the SLS with an unprecedented 8.8 million pounds of thrust at liftoff. However, the SLS is also unbelievably expensive—even by rocketry standards. When the SLS program was first unveiled by NASA, project managers were perhaps overly optimistic about the program’s costs: It was announced in 2012 that directors were eyeing a target cost-per-launch of approximately $500M, although they cautioned that this price could change. Of course, change it did—and now, most recent estimates of the SLS’ cost to launch put the rocket closer to $2B per launch on the low end. That’s not including development costs, which are estimated to top $43B before the SLS even takes flight. Compounding this price tag pain is the fact that the SLS rocket is a one-time-use machine, which must be discarded after each flight (as opposed to the reusability drumbeat echoing throughout the entrepreneurial space industry). In short, this space-bound behemoth takes a lot of money to design and test—so much so, that on July 13th NASA had to admit that they’ve essentially run out of money to develop other aspects of their mission to Mars. After all, a gigantic rocket will only take you so far (like into the vacuum of space). But beyond the launch vehicle component, there are other systems and spacecraft that would need to be built in order to support a Mars mission. In the absence of further funding or a major shift in production partnerships, NASA’s plans for crewed flights to Mars have been sidelined for the foreseeable future. SpaceX’s plan for Mars vehicles is evolving as the architecture becomes more real. Four days after NASA’s admission, Elon Musk confirmed the rumor that SpaceX is no longer planning on sending their Dragon capsule to Mars. Speaking at the International Space Station Research and Development (ISSR&D) Conference on July 19th, Musk revealed that the company’s private spacecraft—and its much-lauded propulsive landing capabilities—was “not the right way” to touch down on the alien planet. While this may, ostensibly, sound alarming to those eagerly anticipating a SpaceX Mars run, the scuttling of “Red Dragon” is actually seen as an encouraging move to industry insiders. It indicates that SpaceX is taking a pragmatic approach to the question of how to land on Mars: while the company’s jet-propelled touchdowns are an awesome sight on Earth, mastering the technology’s application on the Martian surface would be an incredible challenge—and Musk himself highlights the problem of ensuring crew safety during arrival. What’s more, SpaceX was facing the problem of funding their initial mission to Mars: While reports in 2016 estimated that the cost to launch one Red Dragon to the Red Planet would total around $320M, SpaceX had not announced actual mission costs or how the company intended to pay for this deep-space journey. The CEO’s confirmation that SpaceX is no longer considering leveraging propulsive landing technologies on Mars suggests that a new architecture for Martian missions is now under development. For example, there have been rumors that Musk’s vision of an Interplanetary Transport System may inform the company’s immediate plans for revamped Martian vehicles. During his ISSR&D keynote, Musk also mused on how he plans to make the Mars missions fiscally sound—and it may involve the Moon. There’s renewed interest in the Moon as a proving ground—or launching point—for Martian technology. At the ISSR&D conference in mid-July, Musk put words to a sentiment that many space enthusiasts may be feeling: A moon base would be just the thing to get the public fired up about deep space exploration. And he’s not wrong—a “moon base” would certainly be exciting, but it would also be an essential strategic waypoint on the journey to Mars and beyond. We’ve covered in past articles the Moon’s vast potential—both as an ideal location for research outposts and commercial activities, and also as a testing arena for technologies ultimately destined for deeper space. While Musk and SpaceX may eagerly anticipate the creation of a lunar outpost and Moon-based economy, the company is keeping its sights on the Red Planet for the time being. 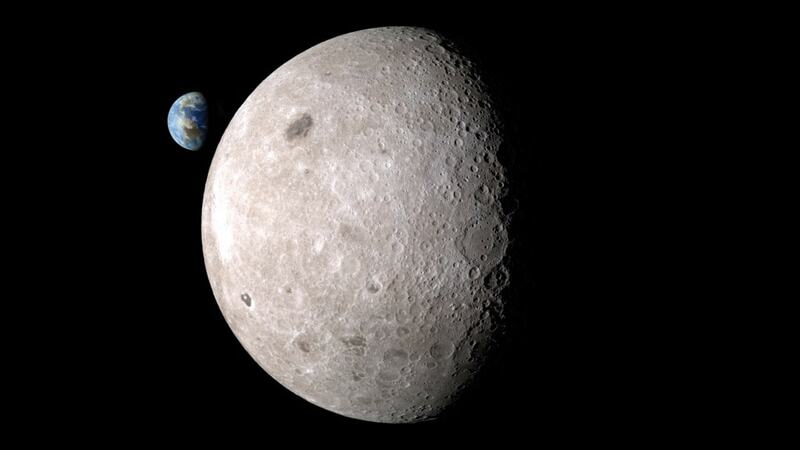 However, there are a number of other initiatives—both government-backed, and privately-funded—who’ve expressed interest in establishing a permanent human presence on (or near) the Moon. NASA, for their part, has published plans for a Deep Space Gateway—essentially, a crewed spaceport in lunar orbit. NASA’s Deep Space Gateway would serve as an international hub in orbit around the Moon; available to partner agencies from around the world as well as commercial ventures active in cislunar space. The Gateway would enable easy access to the lunar surface, similar to the Apollo-era notion of lunar orbit rendezvous (wherein a crewed module meets up with a separately-launched landing craft already in orbit around the Moon). At the same time, the Gateway would also serve as an interplanetary bus stop of sorts; a convenient point from which spacecraft bound for Mars could launch and to which they could return. In the meantime, NASA’s SLS—and its companion module, the Orion spacecraft—will be using the cislunar region as a “proving ground” during the system’s maiden voyage in 2019 (Exploratory Mission One, or EM-1). For this mission, the SLS will launch the Orion free of Earth’s orbit so the spacecraft can make its way toward the Moon. After a fly-by of the lunar surface, Orion will settle into orbit around the Moon, where it will be monitored by mission control. This first test mission is a crucial one, if the agency ever hopes to send humans to Mars—assuming it’s able to develop the necessary technology to land on the Red Planet in the future. Entrepreneurial ventures like SpaceX and Blue Origin will also rely upon test missions in cislunar space in the years ahead. After all, it makes logical sense to master the Moon, before attempting a crewed flight to Mars. Change and evolution within the entrepreneurial space industry are a good sign. NASA is pressing forward with tests of their Space Launch System megarocket, but have also openly admitted that they don’t have the resources to get humans to Mars on any foreseeable timeline. Meanwhile, SpaceX has abandoned its initial plans of a Mars-specific Dragon spacecraft in favor of new, as-yet-unveiled mission architecture. On the surface, it would seem as though our trajectory towards Mars is floundering. However, recognizing one’s limitations—in terms of time, technology, or resources—is a powerful tool to instigate change. This is especially true in the nascent entrepreneurial space industry, wherein commercial competition and partnership has proven an effective engine for progress. As SpaceX refocuses its lens on a more practical, capable Mars-bound spacecraft, NASA will move ahead with tests of its new flagship launch vehicle. Who knows—if the respective parties play to their strengths, we may even witness a Mars-specific NASA/SpaceX collaboration in the years ahead.